They are made, as described here…in (almost) no time at all. 2. 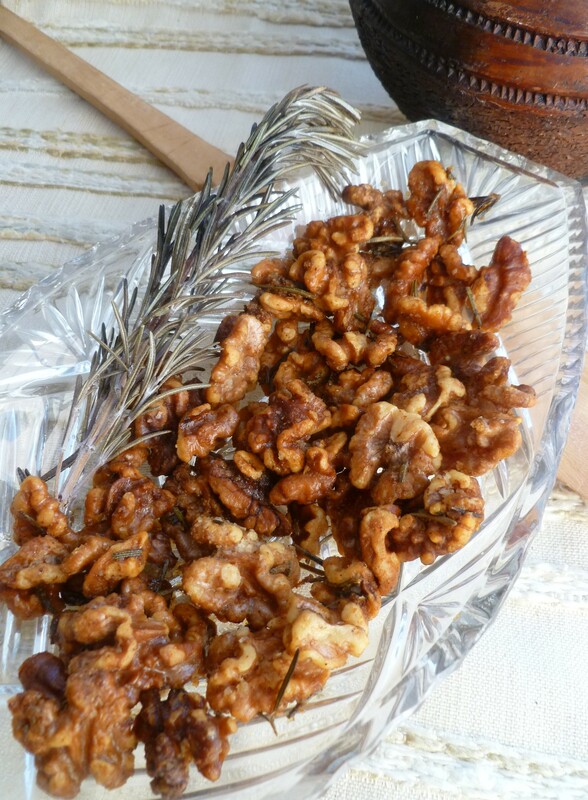 Put the walnuts in a bowl. 3. Melt the butter in a small pot. Remove the pot from the heat and stir in the fresh rosemary, salt and cayenne. 4. 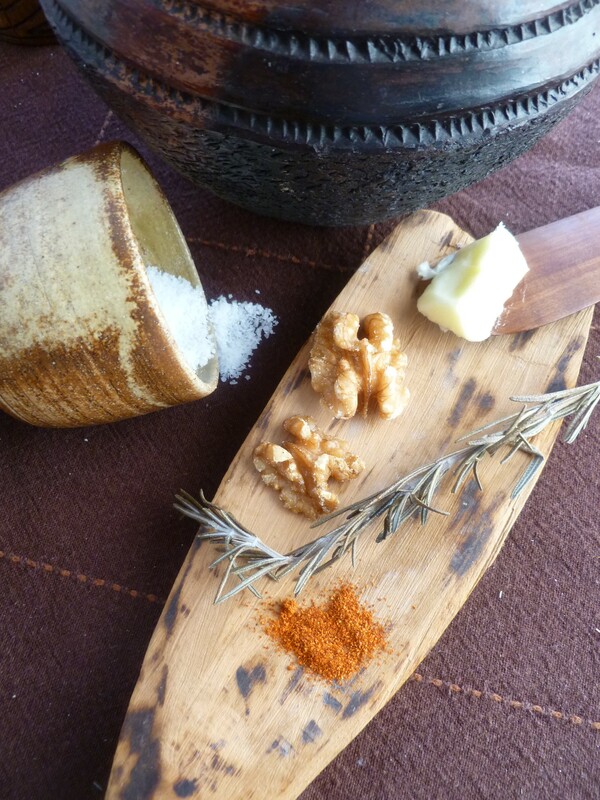 Pour the butter mixture over the walnuts and stir to coat the nuts well. 5. 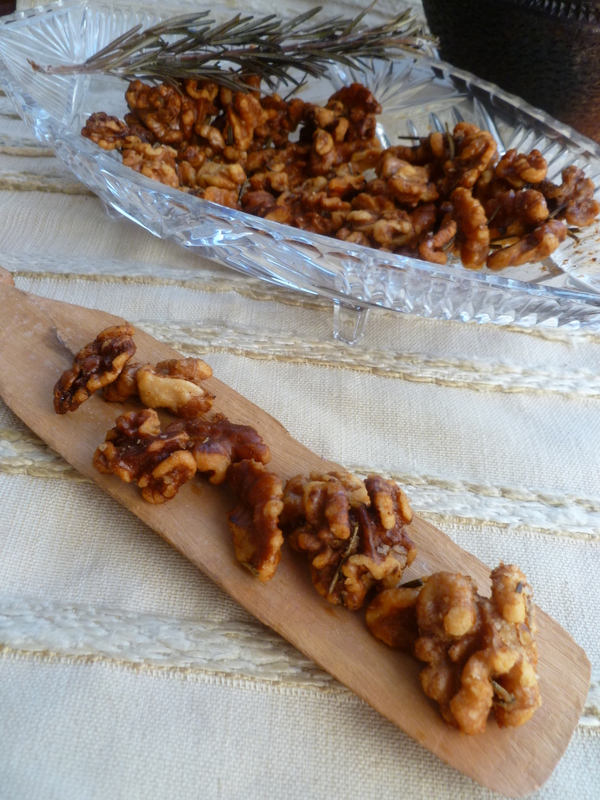 Spread the nuts out on a baking sheet and bake them for 10 – 12 minutes, that is, until they look toasted. Stir them around once halfway through the baking. 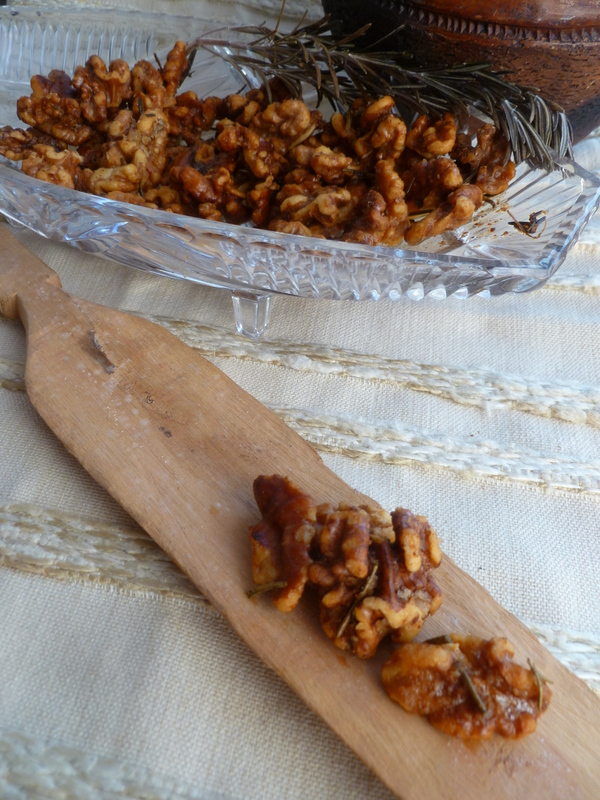 A Note: Rosemary Walnuts are served with Mulled Wine before supper in the Occasional Menu: Blunting the Keen Tooth of Winter: A Supper Party following an Out-of-doors Afternoon. The recipe is adapted from the one in Laurie Colwin’s More Home Cooking (1995). Sounds like an excellent combination. I’m glad you found some things you liked…and hope the site offers you some more…both useful and enjoyable.